267 Centre Boston, MA. | MLS# 72426561 | Dorchester and great Boston real estate- homes for sale, apartments for rent and property management. Luxurious brand new renovation of a classic 3 decker featuring gorgeous, custom kitchen with Jenn-Air appliance package including convection range with built-in down draft exhaust, French door cabinet-depth fridge with ice-maker and filtered water dispenser, dishwasher, and wine cooler. Solid wood cabinetry with many built-in features, breakfast bar, tiled backsplash, and slider with direct access to private deck and shared yard. Master bedroom with en suite bath and 2 additional bedrooms. Beautifully tiled baths with rain head showers and seamless glass doors. Large open living/dining area with gas fireplace, bay window, new hardwoods, and high ceilings throughout. 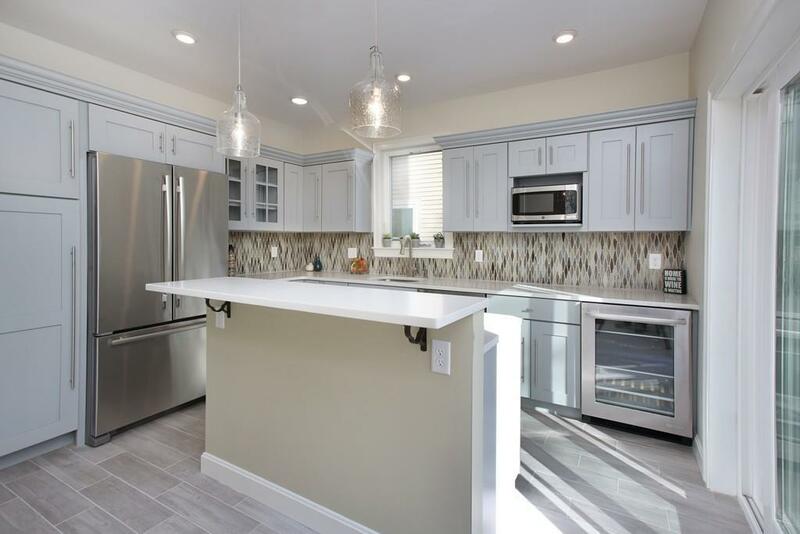 Brand new forced hot air heating and central air, in-unit laundry hookups, and full walk-out basement with exclusive storage round out this spectacular home. Super convenient location with close proximity to 2 Red Line stops, bustling Field's Corner commercial district, and close to rapidly developing Peabody Square.